It looks like not only did Apple reduce the price of its MacBooks (MacBook, MacBook Air, MacBook Pro), Mac Pro and Mac Mini in Malaysia, its all-in-one desktop computer, the iMac, also received a price cut. 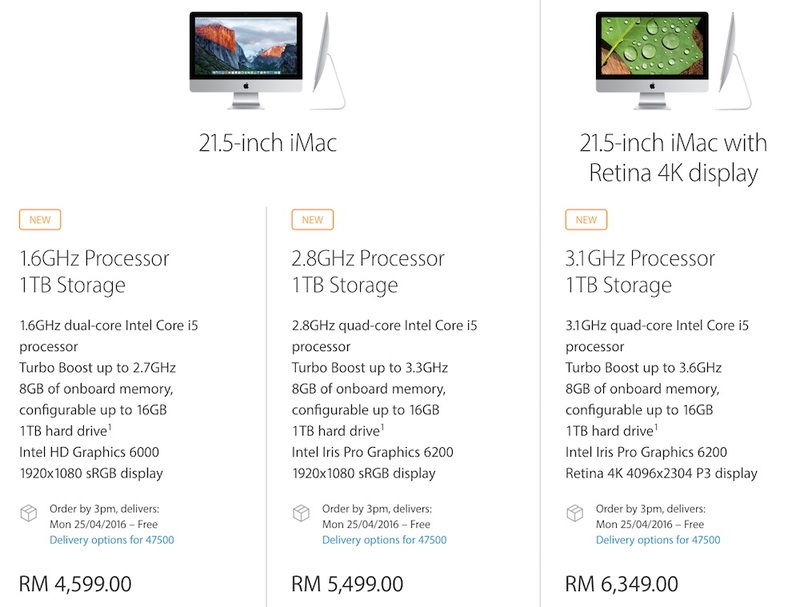 The 21.5” and 27” iMacs in Malaysia are now up to RM700 cheaper than before. 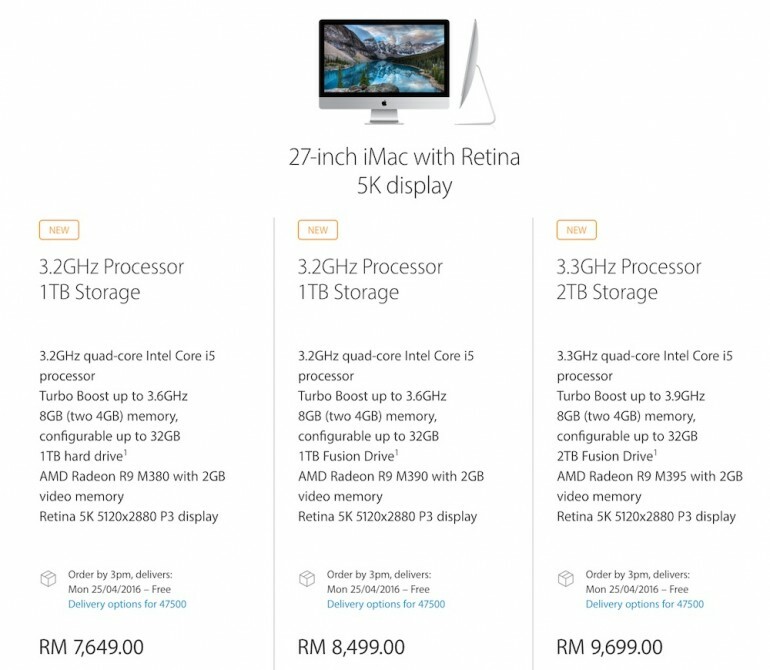 The price drop for the new iMacs in Malaysia ranges from RM350 to RM700 depending on the model you pick. Here’s a table to show the price differences. Unlike the MacBook Air, the iMac only received a price cut. Apple did not give any upgrade in terms of hardware, but this is understandable as the iMac offered are still pretty new. While the new iMac may seem a lot cheaper now, do note that back in October 2015, Apple announced new iMacs that were a whole lot more expensive than before. Before the October event, the cheapest iMac started from only RM4,199. Visit Apple now to check out the new prices.